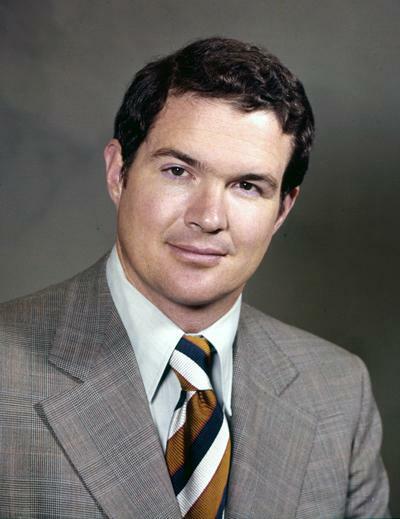 Former Republican U.S. 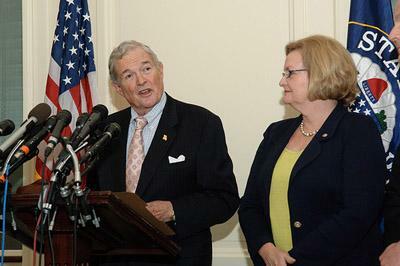 Senator for Missouri Kit Bond at the podium during the launch of his newest venture, Kit Bond Strategies, on Nov. 8, 2011. The retired Republican says trade deals are closed by people being present to seal the deal. 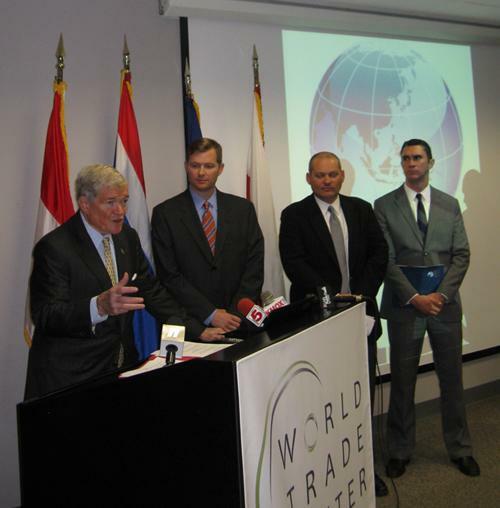 And he says his connections in Southeast Asia can help the floundering effort to secure cargo flights between St. Louis and China by focusing attention on products other than agriculture. "There are a lot more companies that we've talked to that if they can establish those connections, they will be shipping products on the Air China plane," Bond said. 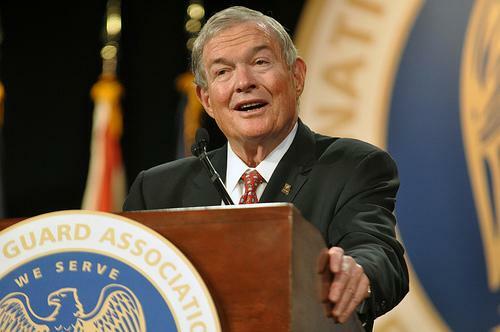 Kit Bond Strategies will have offices in St. Louis, Columbia, Kansas City and Washington, though will not lobby the legislative branch. A spokeswoman says Bond will also remain an "actively engaged partner" at the Thompson Coburn law firm.